This just might be the perfect appetizer. Whip it up for game-day as easily as a movie night snack. 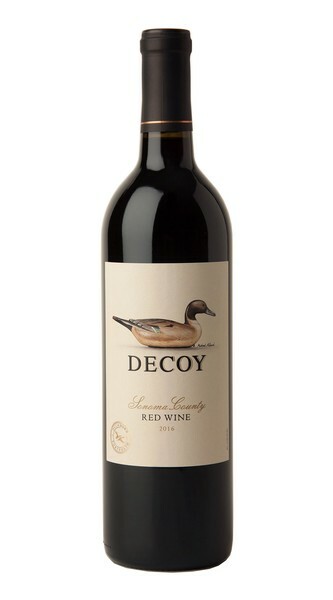 The savory and salty combo of the cheese and chips is magical when paired with Decoy Red Wine. Guests will be asking for more. In a stand mixing bowl. Add the cream cheese, mayonnaise, hot sauce, and garlic and whip until combined. Fold in the chicken, 3/4 cup of the cheese, 6 Tbsp of the blue cheese (if using) and the green onion. Transfer the mixture into a 1-1/2 quart baking dish and sprinkle the remaining cheese over top. Bake the dip for about 20 minutes, until bubbling. Turn on the broiler and broil 6 inches from the heat until lightly browned on top, a few minutes. Let stand for 5 minutes. Garnish with green onions and serve warm with tortilla chips and/or celery sticks.